The following report was published by SecureBio on April 13th, authored by Hamish de Bretton-Gordon and Oliver Morton. SecureBio are updating this report to reflect current developments and this new report will be available direct from www.securebio.co.uk. You can also follow SecureBio on Twitter for updates on CBRNe issues. Executive Summary: Toxic Industrial Chemicals (TICs) are readily available and have been previously used to produce improvised or dirty chemical weapons. More recently, we have seen Chlorine used in Iraq in 2007, Hydrogen Cyanide developed by terrorist organisations and individuals around the world (including AQ), Ammonia in the production of homemade explosives and Organophosphates in the production of home made nerve agents (Tokyo in 1995). Notoriety. Individuals and organisations like their efforts to be noticed, a big explosion is ideal for this but counter productive to a chemical release. Risk. Due to the size and scale of agent required to deliver a truly “battle winning” effect, a large footprint will be generated and therefore, easily interdicted. Recommendations: SecureBio assess that the deliberate use of chemical agents, be it CWA or improvised chemical agents, inside Syria remains MODERATE (An attack is possible but not likely). However, SecureBio assess that the accidental release of a TIC or CWA to be a more credible threat and categorise it as SUBSTANTIAL (An attack is a strong possibility.). It is recommended that individuals and crews operating inside Syria, should ensure that they have CBRN PPE available to them, understand the short comings of their equipment and have a prearranged escape plan and “actions on”, under pinned by SecureBio advice. SecureBio remain available for further advice, comment and training. Introduction. Historically, chemical warfare agents (eg.Tabun Nerve Agent) have been developed either directly or as bi-product from a relatively innocent but never-the-less harmful chemical (eg. Organophosphate used as pesticides). These harmful chemicals, not designed to kill, are usually categorised as toxic industrial chemicals (TICs) however, by modifying the delivery means or combining with other TICs, these chemicals have given rise to improvised or dirty chemical weapons, often referred to as “Kitchen Sink WMDs”. 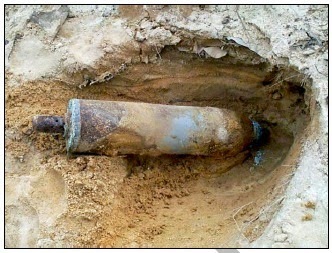 The chemicals used in improvised chemical weapon, are typically covered under the Chemical Weapons Convention as a Schedule 2 Chemical; permitting their legitimate manufacturing in controlled quantities. However, to better understand the threats posed by TICs, the International Task Force 40 (ITF40) list was created in 2003; ITF 40 prioritises some 1756 (and growing) of the most dangerous chemicals readily available. 63 of the chemicals included on the ITF40 list are considered so dangerous that they are classed as military priority industrial hazards. Cyanide or an Organophosphate (all marked in bold). gas is x4166 more lethal than Hydrogen Cyanide. Binary Device, Sprayer and finally as Indirect Fire (IDF). 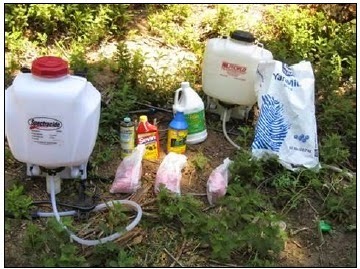 Chlorine devices (see below image). Cons. The system relies on the intended target coming to the device and more importantly the explosion typically burns most of the chemical agent off, thereby rendering it useless. Binary Device. These require a little more chemistry but are still relatively simple to manufacturer; again they have been seen in Iraq, Afghanistan and also on terrorist and suicide websites from around the world. The most widely covered Binary Device is the Mubtaker (see below image), which utilises two separate containers to mix Potassium Cyanide (commonly used in the jewellery industry) and an acid together; this will produce Hydrogen Cyanide. Pros. The device is widely publicised on the internet and consequently relatively easy to manufacturer. Furthermore, in its constituent parts is easy to transport and critically poses very little hazard to the operator. Cons. Again there is a reliance on the intended target coming to the device and will generally only impact on a small area; ideally suited to confined spaces. Sprayer. The most effective method for delivering a dirty chemical (or biological) agent but generally considered unpopular due to its lack of “spectacular” effect. The system requires either a garden sprayer or crop-duster and a moving platform, ideally an aircraft. In 1990 the Aum Shinrikyo cult (infamous for the use of homemade Sarin in Tokyo) utilised truck-borne sprayers to launch a biological attack against the US Navy; nobody noticed and the agent was blown out to sea. Pros. The agent is delivered in the most effective and cheapest method, allowing it to be carried downwind for some distance, especially if released at slight altitude. Cons. The sprayer is highly dependent on wind direction and will generally require a suitably protected individual to be in the area. Additionally a suitable delivery platform needs to be procured. Indirect Fire. Technically the hardest to achieve; a mortar bomb, artillery shell or rocket requires a high degree of stability inflight to maintain accuracy. Chemical agents are typically liquid which will dramatically affect the stability of flight, causing the missile to at best fly erratically or at worst break up en route to the target. Furthermore, a burster charge and fuse would be required to ensure that the agent is effectively released over a wider area and doesn’t just generate a mucky puddle at point of impact (below picture). Consequently, it is assessed as the least likely method attack, owing to the technical hurdles that must be over come. Pros. Allows a dirty chemical agent to be fired with a high degree of standoff and can (theoretically) burst over a given area. Cons. Technology required to make this an effective delivery means. 1. Don your respiratory protection immediately, if you have it. 2. Fasten your chemical protective clothing, if you are ALREADY wearing it. 3. Leave the area immediately, upwind of the hazard. 4. Where possible, head to high ground. 5. Conduct immediate decontamination, away from any potential hazard. In modern times security organisations have seen TICs being increasingly used by terrorists and those seeking to commit suicide. SecureBio typically report 2-3 major incidents per week involving a TIC death, usually a suicide. In addition to this terrorist websites and counter-insurgency operations in Iraq and Afghanistan have not only seen these dirty chemical weapons being used but also highlighted the vulnerability of individuals to attack from improvised chemical warfare agents. The situation in Syria is clearly becoming more and more desperate however, both sides are fully aware of the impact of using Chemical Warfare Agents. It is therefore assessed as unlikely that the regime would use CWAs, unless left with no-alternative. However the use of red lines for CWA draws two further possibilities. Firstly, the FSA (or other fighters) acquire CWAs, use them and then attribute blame to the Assad regime, thereby triggering western intervention. Alternatively, both sides play semantics and develop improvised chemical warfare agents and launch a dirty chemical weapon attack, on the proviso that it hasn’t breached Obama’s redline. It is SecureBio’s assessment that the use of improvised chemical weapons is not in the interests of either side and therefore, assessed as unlikely. However, utilising existing CWA stockpiles and blaming the other side is entirely plausible and continues to pose the greatest threat. 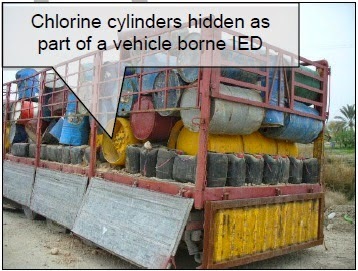 Consequently, SecureBio assess the deliberate use of chemicals weapons to be a MODERATE threat, inside Syria. The final and most credible scenario option is the accidental realise of TICs or CWAs, through the inadvertent destruction of a processing plant, storage facility, or accidental firing of an unidentified CWA munitions. Owing to the number of facilities and availability of CWA munitions, SecureBio assess the accidental release of a TIC/CWA as SUBSTANTIAL. A pdf of the full report, including details of improvised chemical agents, can be found here. The situation in Syria is clearly becoming more and more desperate however, both sides are fully aware of the impact of using Chemical Warfare Agents. It is therefore assessed as unlikely that the regime would use CWAs, unless left with no-alternative. Really that's not what this blog posted or was touted by MSM as it was the regime using it..